Ladies diamond and emerald anniversary band of classic styling. The band is crafted in 18k yellow and white gold and is set with alternating diamonds and emeralds. There are two round brilliant cut diamonds that have a combined weight of 0.20ct. 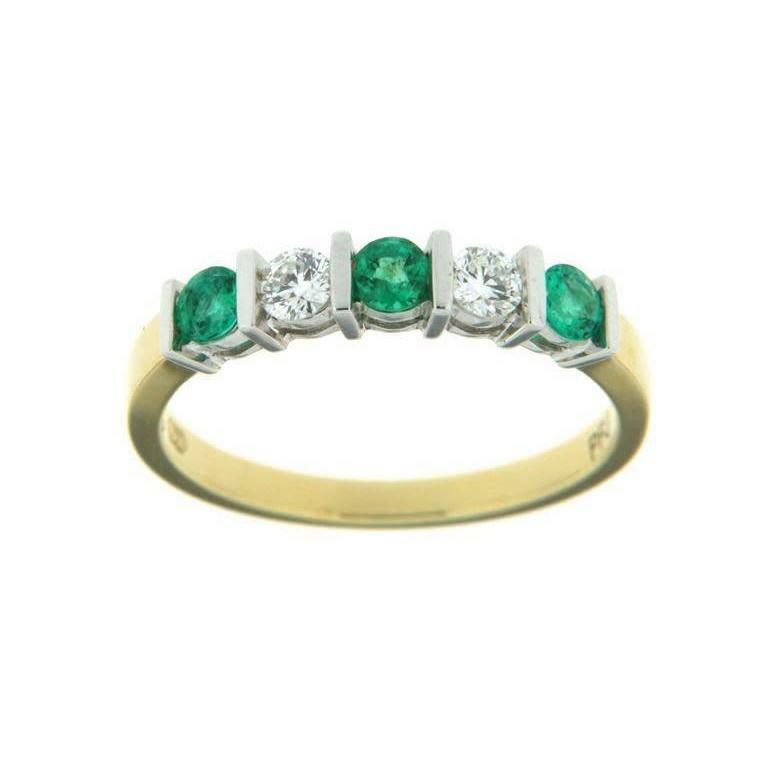 There are also three round cut, genuine emeralds that have a combined weight of 0.33ct. The remaining band is tiffany in shape and high polish in appearance.